YES, I WANT TO GROW MY BUSINESS & PROFITS! The Ultimate360 is a proven consulting process that has already helped hundreds of businesses formulate an integrated digital strategy that delivers immediate results on your bottom line. 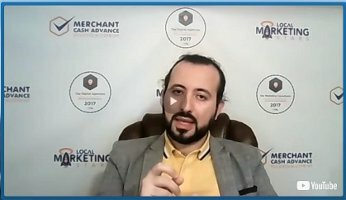 If you’re frustrated because you have ambitious goals for your digital channel, but no concrete plan to achieve them… the Ultimate360 is a customised strategy roadmap developed by the digital team that has already helped hundreds of other businesses generate millions of sales leads and hundreds of millions of dollars in new revenue since 2003. 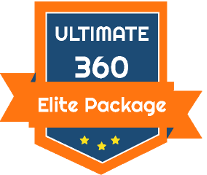 If you’re sick and tired of getting by with a hotch-potch of disconnected tactics that just aren’t impactful enough… the Ultimate360 will give you an integrated execution plan you can feel confident in. If you’re already doing well online, yet are always thirsty for ways to supercharge your results… the Ultimate360 will “X-ray” your current marketing and unearth your biggest untapped profit opportunities. If you have specific digital initiatives in mind and need execution help… the Ultimate360 will allow you to move forward with the best possible plan, saving you time and money and avoiding costly mistakes, dead-ends and U-turns. If you’re embarking on a high-stakes digital project (or launching a new business) and failure is NOT an option… the Ultimate360 will lock down a winning plan before you execute. Because “trial-and-error” is the most expensive teacher you’ll ever find. 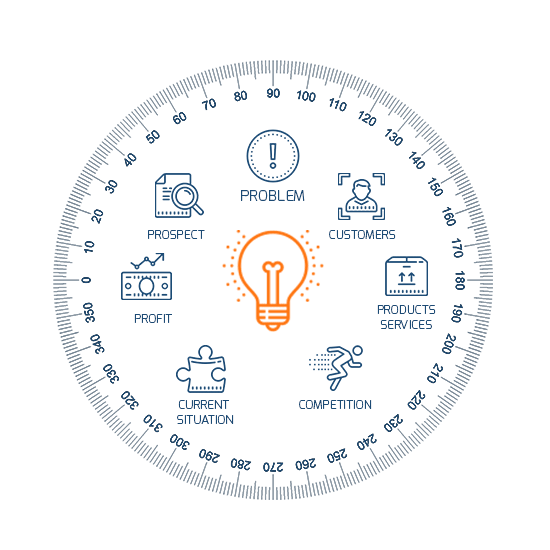 If you’ve ever struggled to articulate the true value of what you do, or attract your most profitable market segments… the Ultimate360 will deliver a laser-focused Unique Value Proposition that connects emotionally with your ideal prospects and makes your competition irrelevant. 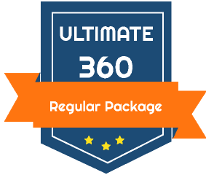 If you’re afflicted by “woods-from-the-trees” syndrome and are struggling to cut through the clutter… the Ultimate360 adds a third-party perspective from a team that has most likely already seen – and solved – the exact same challenges you now face. Within 3 months of using Local Marketing Stars, I have seen massive growth in both my social media and online presence with no effort on my end. They have created and been managing my entire lead generation system. Your Ultimate360 is structured around a series of three consulting calls (or onsite workshop facilitation), interspersed with competitive analysis and strategy formulation performed behind the scenes by our team. The process is guided by our most senior Digital Strategists, who have experience delivering a minimum of 100 web strategy engagements. While we may come up with some immediate answers during this session, the focus is primarily fact-finding. During Session #2, we’ll showcase and review the analysis and work product produced so far. In Session #2 we’ll explore your customised Sales Lead Machine Blueprint, including: UVP prototype, homepage wireframe, recommended offers for the buyer’s journey and marketing automation. During Session #3, we’ll present the final version of your strategy. We’ll also discuss downstream implementation options, including fees and timeframes, should you want our assistance to execute. The whole process takes just 14 days from when we get started (subject to your availability and ours). Then you’re good to go. Based on the raw materials we gather on this call, we’ll go away and work behind the scenes with our team in order to be ready for our next session in 7 days’ time. By the conclusion of Session #3 you’ll have the key pillars of an effective, long-term, results-focused digital marketing strategy PLUS a clear roadmap for implementation and execution. Executing marketing campaigns without locking down the best possible plan of attack is like building a house with no blueprints… or tipping all your money into investments without a clear financial plan… or getting on a plane with no destination in mind: your results will suffer. The Ultimate360 is different because it’s rapid, accurate and above all actionable – everything you get is engineered to add directly to your top and bottom lines. – a brief statement articulating how you are uniquely desirable and valuable to your ideal prospect compared with all other alternatives (including the alternative of doing nothing). (Google AdWords and Facebook Advertising) – featuring either analysis of existing campaigns, or recommended structure, targeting and budgets for potential campaigns. 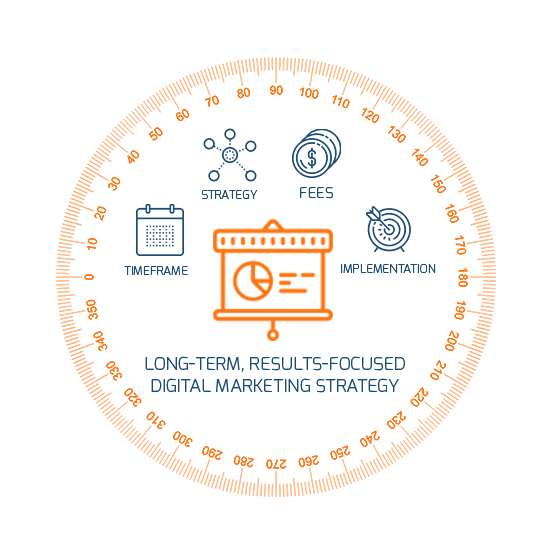 – showing clearly the optimal structure of offers and messaging for your updated or proposed website. – to help achieve your desired outcomes. – including a giant “flowchart” of sequences of landing pages, offers, content, segmentation and automation designed to convert shy, first time visitors into lifelong clients. – a detailed “CAtSCAN” of your website and/or competitive landscape, exposing the best opportunities for you to gain traction in the organic search engine rankings and/or Google Maps listings. These analyses are conducted by digital veterans with a minimum of 10 years’ experience. They almost never fail to uncover serious upside potential, even if you think your current campaigns are under control. You’ll Come Away With SPECIFIC Fixes For Each Of Your Issues, Concerns And Challenges – And A Crystal Clear Plan To Navigate The Future. 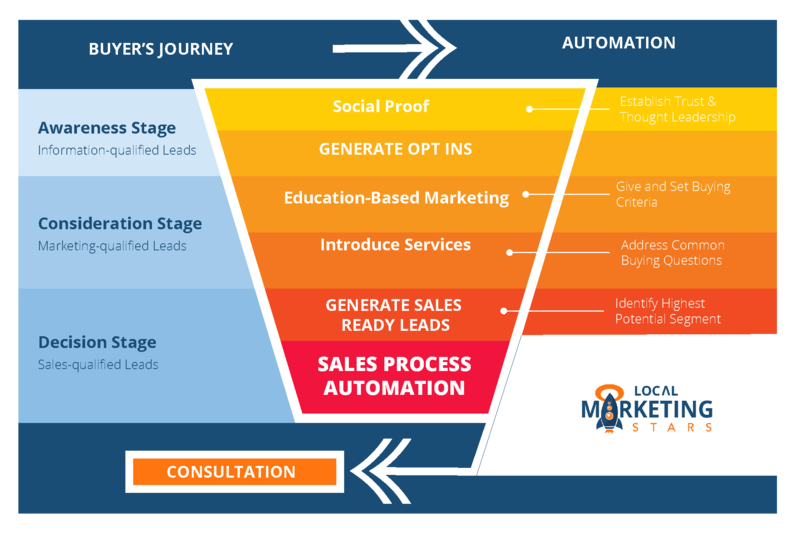 or sales process to improve leads and sales instantly. You’ll be saved from the time, expense, disappointment and opportunity cost of attempting new marketing initiatives that we’ve seen others attempt before without success (and are most likely doomed to failure). You emerge with a well thought out digital strategy and action plan that will ultimately deliver better results and Return On Investment from your marketing investments, now and in the future. What’s the fastest way to attract more profitable customers? I have several ideal customers in mind – which one(s) should I focus on, and how? How can I generate consistent enquiries every day? What technology and tools should I be using? I have this cool new marketing automation platform – but what do I do next??? How can I deploy “outbound” emailing strategies? My current digital team say they’re doing everything they can. Can I get a third party opinion? What’s the best way to solve a downturn in sales? Help! My digital marketing is in a mess! How do I make my leads more qualified? Which ideas should I execute first, second, third…? Courses and training require many, many hours of your time to absorb – that’s before you apply anything, much less actually profit. (The real cost needs to factor in your hourly rate x the number of hours required.). The Ultimate360 requires just 5 hours of your time, all up. It’s super-efficient. Canned training isn’t customised to your situation. As much as the sales pitch might promote a “step-by-step system anyone can apply”, the reality is that application is always nuanced. And by doing it yourself without an experienced guide, critical details are lost. With the Ultimate360, the process is led by a Senior Consultant with a minimum of 100 strategy engagements under their belt. We’re here to ensure you get it right and your growth goals remain on track. Canned training has no deadline. With the pace of business and everything that’s already on your plate, online training that you purchase with the best of intentions often ends up sitting on your hard drive, un-opened. With the Ultimate360, you simply lock the sessions in your diary and it’s done within 14 short days. We’re here to hold your hand and Get. It. Done. On average, we spend more than 20 hours on each Ultimate360 engagement, providing specific advice and customisation. This product attracts serious business owners with serious growth goals who understand the value of the best possible plan for crushing it online. They’re sick and tired of winging it, and they don’t want to run the risk of expensive mistakes, overlooked opportunities and hidden “profit leaks”. They want outcomes. Our proven frameworks solve your challenges quickly and effectively. For example, you already know you need a razor-sharp Unique Value Proposition – a brief statement that presses your client’s emotional hot buttons so that enquiring or buying becomes irresistible – but actually creating one is not so easy. With our framework, we’ve created killer UVPs for more than 253 organisations, and counting. And we can do the same for you. While we don’t claim to be experts at ALL areas of business… we’re not the person to speak to about HR or Venture Capital or financial control, for example… One thing we DO know, inside and out, is automated client acquisition strategies using digital marketing and marketing automation. As the Principals of digital agency Marketing Results, we’ve seen deep inside hundreds of businesses and business models. Which means we’ve actually seen what works and what doesn’t over and over again. We’re able to bring you proven success templates. Not more “book learning”. And not experience based on only one or two narrow success stories. And in case you’re thinking, “Ideas aren’t my problem… I have heaps of ideas”, ask yourself this, and be honest: Are they the RIGHT ideas? Are you 100% certain the marketing plans and strategies you have right now are sufficient to accomplish all your growth and profit goals? Are you 100% certain you’re seeing all the angles… or that you’re not unwittingly leaving money on the table? While you might be great at helping others with their business challenges, recognizing – and fixing – your own “blind spots” is by definition impossible. You need an outside perspective to shine a light on what you’re not seeing. This third party perspective multiplies the value of all the specific and tangible deliverables you’ll get as part of this process. If you select the option that includes onsite consultation, we’ll get in touch to reserve dates and travel arrangements (if necessary) within 1 business day of your order. While we promise to give you the full force of our expertise and attention, we can’t guarantee your success because it’s related to many factors beyond our control. We both know that, but by making payment below you’re agreeing to hold us harmless for any results related to this service. Because we can’t get our time back, there are no refunds for this service. So if you’re not confident that the advice, insights and deliverables you’ll receive is well worth the investment, then this probably isn’t for you. In order to be efficient and effective, this service follows a formalised structure. It doesn’t include extra consultations or work product outside of what we agree up front. We DO want you to provide all the details necessary for you to craft a winning digital strategy. We WILL give you 100% focus and effort. And we CAN accommodate additional requirements by arrangement (subject to extra fees, depending on scope). However, we wouldn’t be able to offer this level of focus and service if we allowed the scope of these engagements to creep outside the agreed parameters. Fair enough? Finally, we reserve the right to decide whom we work with on these engagements. If we feel your product, service or situation isn’t the right fit (or for any other reason), we’ll provide an immediate refund of any fees paid. One of our criteria will be to feel confident that we’ll be able to add at least 20X the value of your investment as a result of this engagement. Want To Find Out If This Is The Right Fit For You? Is an Ultimate360 the next best step for you? Maybe, maybe not. The easiest way to find out is to request a Strategy Session via telephone with one of our Senior Digital Strategists. Think of this as a highly-compressed, “mini-Ultimate360”. Here’s what we’ll cover on this exploratory call:. Your current situation: what marketing strategies you’ve tried and what results you’ve achieved. Which parts of your current strategy are working well and which parts need improvement. Your desired end state: your specific progress “basecamps” as well as ultimate goals in terms of traffic, opt-ins, leads and sales – with timeframes. Constraints, obstacles and challenges: what’s stopped you from hitting your goals in the past? What’s holding you back now? Windfall opportunities: what hidden assets do you possess that can bring cash and profits in the door quickly? Based on this structure, we’ll shed light on your specific challenges and outline potential solutions. These solutions will give you a framework to accomplish your growth and profit goals – as well as assess if a full Ultimate360 is right for you..
Isn’t it true that if you had the ideal strategy and action plan locked down for your business – one that maximises available opportunities and accelerates the achievement of your goals – then you’d already be applying it in your business? And reaping the rewards? The very fact you’ve read this far probably suggests there is a “gap” you need to fill. And we’ve been helping companies and organisations just like yours fill this type of gap for over a decade. Either submit your order above, or contact us for an exploratory chat, and let’s make this happen in the next 14 days – so you can move on with doing what you love, making more profit, and growing your business like gangbusters. Ready To Solve Your Toughest Strategy Challenges? your session(s) are complete and agreed deliverables supplied.